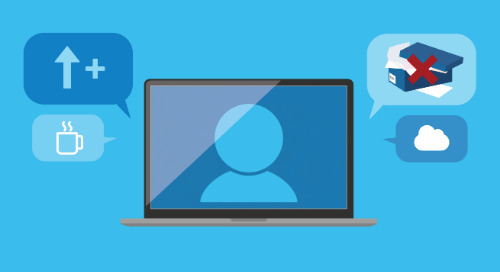 Learn how to use technology to build a people-first accounting or bookkeeping practice. What do you look for when choosing your bookkeeping software? "Virtual, cloud-based accounting is the future of the industry. Innovative software, like Xero, gives us the ability to collaborate in real time with an open API allowing for a diverse app marketplace. That has all the plugins we could need to leverage technology for our clients." 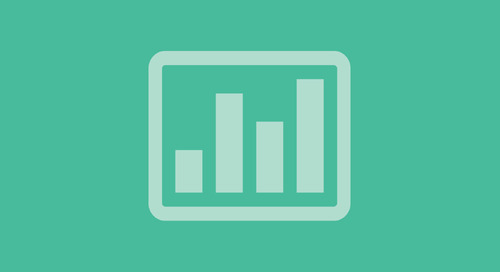 What’s your favorite feature in bookkeeping software? What features would you like to see in the future? What advice would you give to a bookkeeper or small business owner choosing bookkeeping software? What's important to you when choosing your bookkeeping software? Let us know in the comments or tweet @Hubdoc! 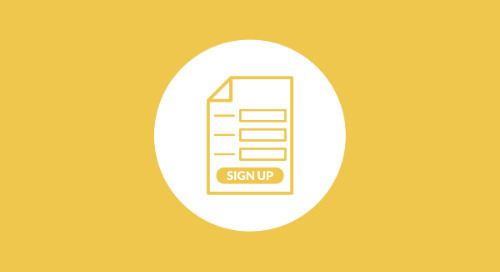 Don’t forget to subscribe to our blog if you enjoyed this article! Feel free to leave a comment below or email me at hedy@hubdoc.com if you have any questions or suggestions for future articles you’d like to see. Learn which trends are shaping the accounting industry. 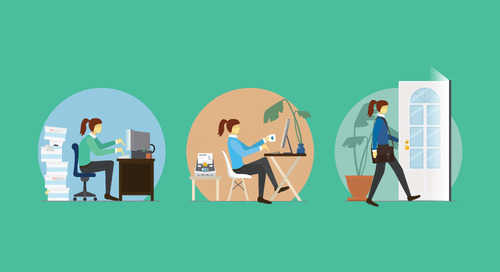 Join 10,000+ forward-thinking accountants & bookkeepers. The demand for virtual CFO services is increasing among small businesses. Learn David Emmerman’s tips for bridging the gap between outsourced accountant and virtual CFO. 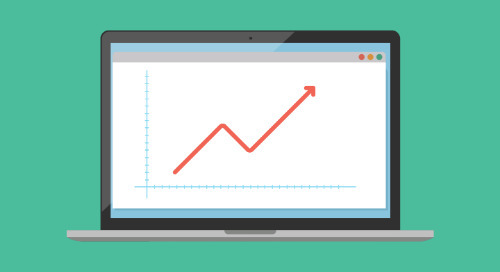 Thinking about adopting cloud bookkeeping technology? 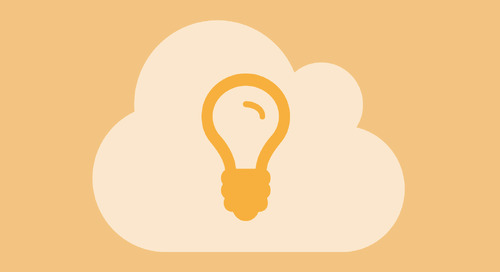 Learn tips and best practices from a firm that has successfully transitioned the cloud! Process development is critical for forward-thinking accounting and bookkeeping firms. Accountingprose’s Cristina Garza offers her tips for developing processes at your practice. Checks are still prominent in North American bookkeeping. Utilize the right tools to make collection and processing seamless. With so much information available, it can be difficult to choose activities that will benefit your clients. In this blog, you'll find five tips for becoming a strategic partner. The role of the bookkeeper is changing. Learn what this means and how you can adapt your skills to build long-lasting relationships with your clients. 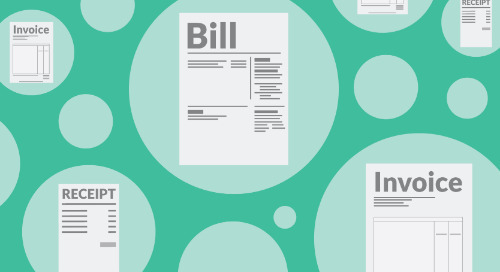 Bill pay is a notoriously challenging process, but it doesn’t have to be! 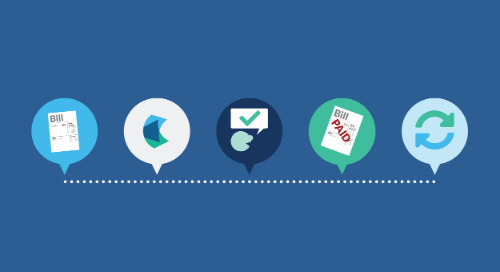 Learn how to implement bill pay as a service at your accounting or bookkeeping practice. 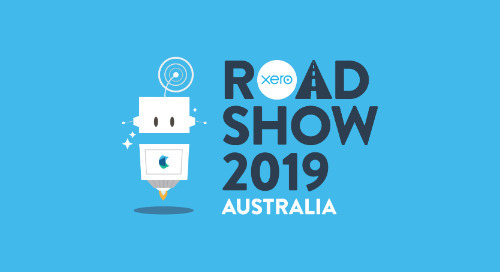 Hubdoc will be joining Xero at the 2019 Australian roadshows. 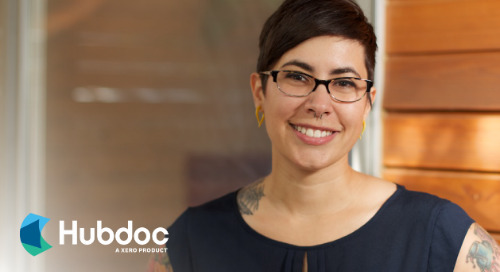 Find out what they are all about, each date and location, and who you’ll meet from Hubdoc. Collecting and managing source documents (bills, receipts, invoices, etc.) 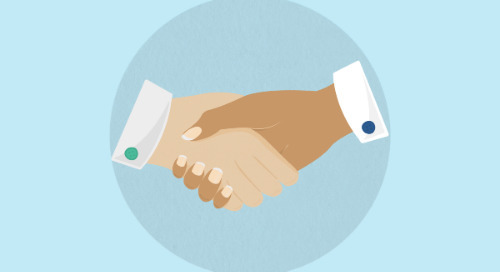 for your bookkeeping clients can make you a valuable business partner. Learn more! 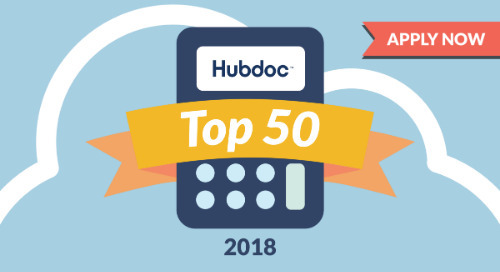 We’re excited to announce the Top 50 Cloud Accountants of 2018 in North America! Find out who’s leveraging cloud accounting and bookkeeping technology to create incredible client experiences. 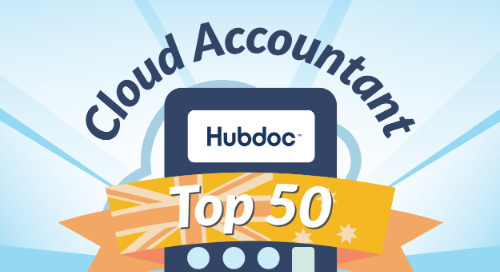 We’re excited to announce the Top 50 Cloud Accountants of 2018 in Australia! Find out who’s leveraging cloud accounting and bookkeeping technology to provide incredible client experiences. 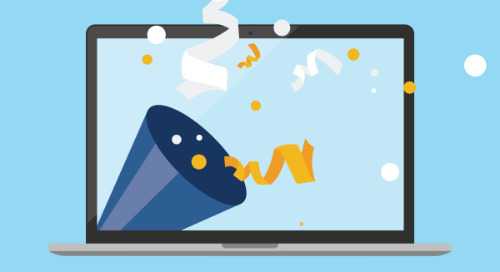 Read a few New Year's resolutions from accountants and bookkeepers looking to improve their practices and their culture as they prepare for 2019. 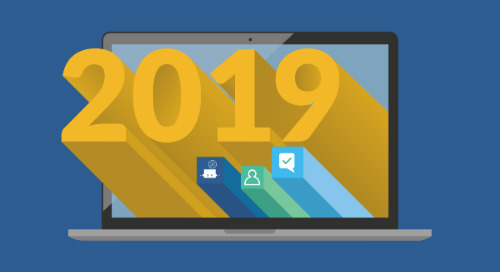 Which accounting trends will dominate in 2019 and beyond? Jamie Shulman, Co-Founder and Co-CEO of Hubdoc, offers his insights on accounting and bookkeeping trends. Learn to implement a few basic elements to an accounting firm, which can help create a clear vision, select core offerings, and embrace client relationships. Xerocon London 2018 was full of amazing insights for advisors! Jamie Shulman, Co-Founder and Co-CEO of Hubdoc, provides his key insights in this brief event recap. 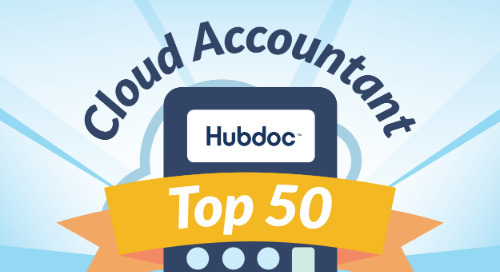 Learn the eligibility criteria and how to apply to be considered for Hubdoc’s annual list of the Top 50 Cloud Accountants in North America and Australia! 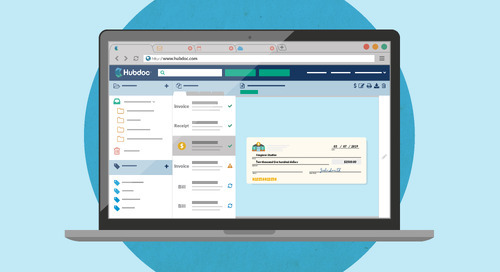 You just signed up for Hubdoc… now what? Learn how to get the most out of your free partner account when trying Hubdoc at your practice. 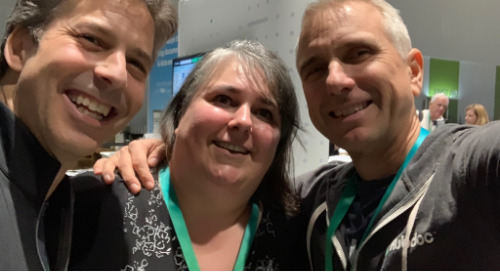 We love attending QuickBooks Connect to check in and catch up with the Intuit community! 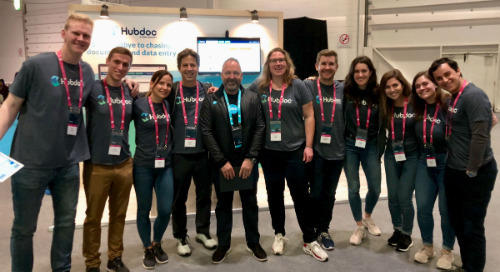 Jamie Shulman, Co-Founder and Co-CEO of Hubdoc, reflects on this year’s event. 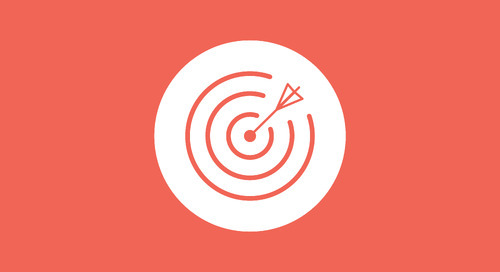 Why is choosing a niche so important for accounting firms, and how do you get started? 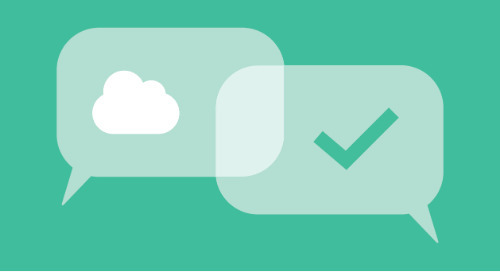 We asked a few cloud accounting leaders to share their top tips! 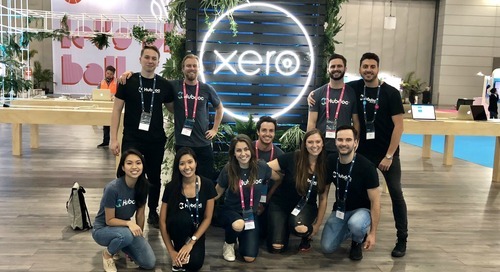 Xerocon Brisbane 2018 was a blast! There was a lot to learn at the event – here are our top three takeaways.